To play Pantomime on OSX or Linux/Unix, you need an interpreter program, which you can download here. 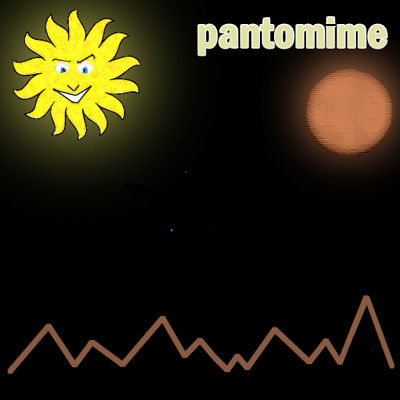 Pantomime is a game that I wrote for the 2006 Spring Thing Interactive Fiction Competition. It placed third. The game takes place on the Mars moon of Phobos. It defaults to white text on a gray background on the standard Hugo interpreter – if this is difficult to read there is an IF interpreter called Gargoyle which renders it in black text on a white background. Tested by Ben Parrish, Jonathan Blask, Dayna Rich, Johnny Rivera, Randy McLellan, Greg D’Avis and Drew Mochak. Review by Ricardo Pautassi at JustAdventure.com. Pantomime ratings and reviews at the Interactive Fiction Database. http://www.joltcountry.com/index.php/robbsherwin_videogame/pantomimeYou must be logged in to post a comment.